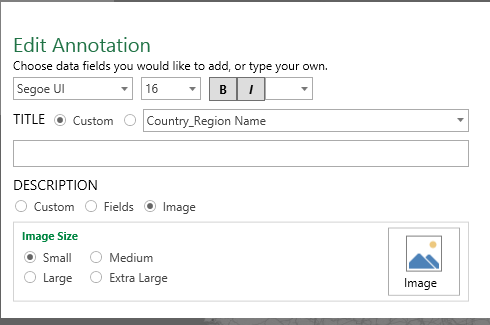 Today, Microsoft announced that Power Map for Excel is now in GA. As Chris Webb noted, it will only be available for those that have Office 365 ProPlus. 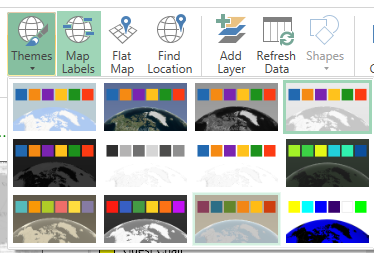 Those with standalone Excel or Office Professional Plus will not get the GA version of Power Map. I just finished applying the update to Office to get the GA version and I have a few observations. 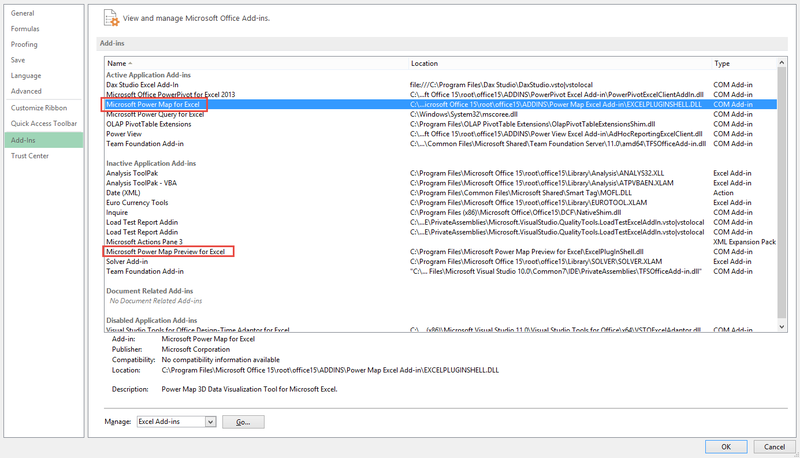 Once you have the Office SP1 update, you will need to enable to the GA add-in and disable the preview add-in, as it installs separately from (rather than over the top of) the Power Map Preview add-in. If you had the Power Map Preview installed, when you go to insert or open a Power Map, you will receive a dialog box that asks you to allow it to uninstall an older version. This only takes a minute. Then you can open Power Map once again and work with the new GA version. There don’t seem to be any significant differences between the preview and GA version, but they did fix a few bugs, add a couple of new features, and make a few UI updates. Some of the icons in the ribbon have been updated, but the options are still the same. If you click on Themes, you will notice there are now 12 themes available where before there were 8. 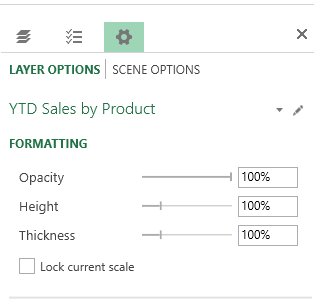 When you go to add a new layer, you will notice that the Chart Type drop-down was changed to an array of icons. The available selections remain the same: stacked column, clustered column, bubble, heat map, region. They have added a new icon to the Layer Manager panel that allows you to add a new layer to the selected scene. They also added a new option in the Layer Options to change the opacity of the layer. 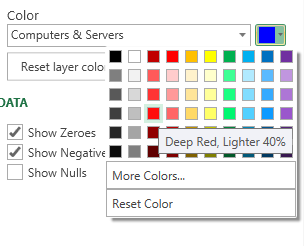 And they fixed the color picker in the Layer Options! This was awful in the preview, but it looks much better now. They also updated the UI for annotations. And, I’m not 100% sure on this one, but I think they added the ability to add line breaks in the text of the annotations (using Shift + Enter). I seem to remember struggling with the lack of this ability in the preview version. Those are all of the changes I noticed. Leave me a comment if you see something I missed. I was able to open and update several maps I made with the Preview version and I haven’t noticed any incompatibilities between the preview and GA versions. Hopefully some of them will come with the next release.